This is one of those seminal inventions that can only work and ‘take off’ as a practical reality if you get a critical mass of people to take up the technology. After all, owning your own telephone is of no use unless there’s someone else who also owns one and you actually want to talk to that person. Add to that the not inconsiderable infrastructure that needs to be set up to make the whole thing work : cables laid to and from houses, exchanges to route the calls, a means of identifying one subscriber from another and not least of alll a means of alerting the person being called that someone wants to talk to them – and you can see that a lot needs to happen to get it all off the ground. In this article we look at some of the seemingly small, but vastly important, things that needed to happen in order for, what we take for granted today – the modern telephone system, to actually become a reality. Initially, phones were marketed in pairs, to connect two locations – someone’s office and his home, for example. But it soon became clear that the new invention would be much more useful, and more instruments would be sold, if it could be connected to a system of many users, so that any subscriber could talk to any other. 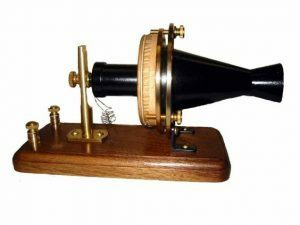 But this primitive but effective device lacked one key feature that we now see as essential to any telephone system – a means of letting you know that someone was calling you. If you happened to pick up the phone and someone was there, you could talk to them, but otherwise the device was somewhat limited. Initially, this difficulty was overcome by sub-scribers tapping on the diaphragm with a lead pencil, but the brittle material didn’t survive very long under this treatment and had to be replaced. Alternatively, you could try shouting very loudly into the phone and hope that the person you wante to speak to was near enough to hear the tiny squeaks coming from their box on the wall. Then a man called J. C. Watson invented a bell that could be built into the apparatus and made to ring when someone made a call. This was a distinct improvement, apart from one drawback – there was no way to make an individual phone ring. In one of the earliest telephone systems, in Toronto, to make a call, a subscriber had first to speak to the operator, who would then ring all telephones on that system. Each person would go to the phone to discover whether the call was for him or not, and if not, common decency suggested he should step away, although there was nothing to stop him staying near by to listen if the call sounded potentially interesting. ‘the constant ringing of bells, melodious as it might be per se, and sweet as the Bells of Corneville [a popular musical of the time], yet became a trifle monotonous, and the wearied ear yearned for rest and silence’. Eventually, a solution was found that allowed the operator to direct calls towards the correct subscriber, although there were still plenty of subscribers who had what were called ‘party lines’, which meant that they had to share with a few other subscribers. 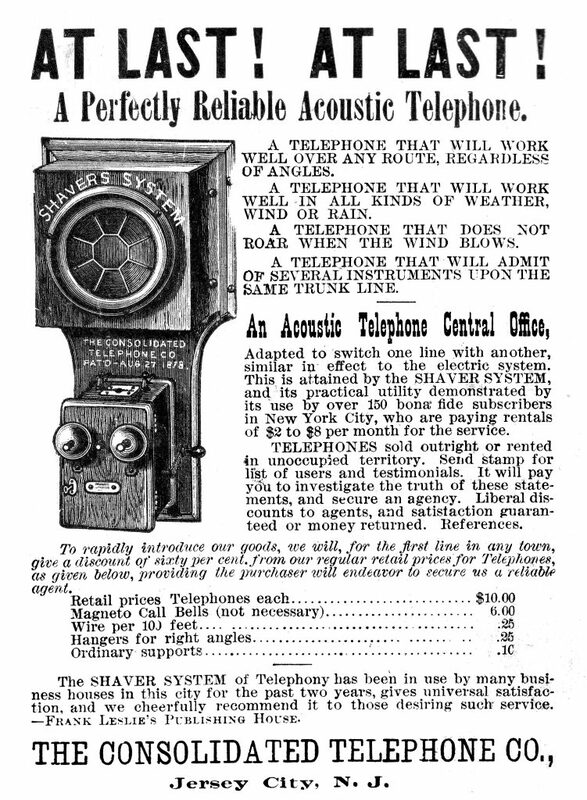 What was needed was a device that allowed people to direct their calls without having to go through an operator. The device that allowed this to happen came about because its inventor, an undertaker called Almon Strowger, didn’t trust the local operator to put calls though to him. She was the wife of another undertaker and he suspected her of diverting calls from newly bereaved relatives to her husband when they might have been intended for him. His invention, the Strowger switch, required subscribers to tap out the digits of the number they required with a button, and this would operate a contact arm at the exchange which could move into any one of a hundred different positions, enough for the small number of people who had phones in the exchange area. Strowger became a rich man, but in 1902 his undertaking firm received a phone call from his wife, to say that Strowger had died and required their services.